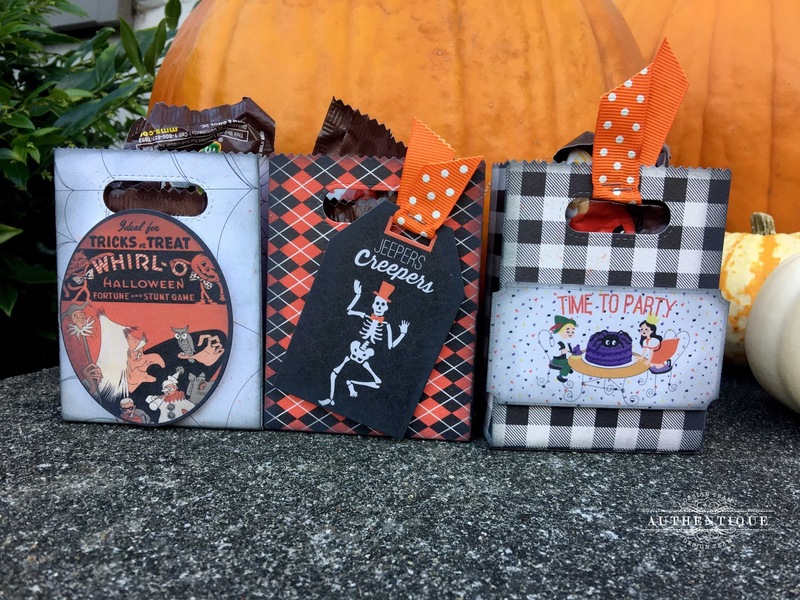 Happy Halloween Eve! I wanted to share with you a few simple and fun ways to create some beautiful gift packaging with the Bewitched Collection for those last minute trick-or-treaters in your life. 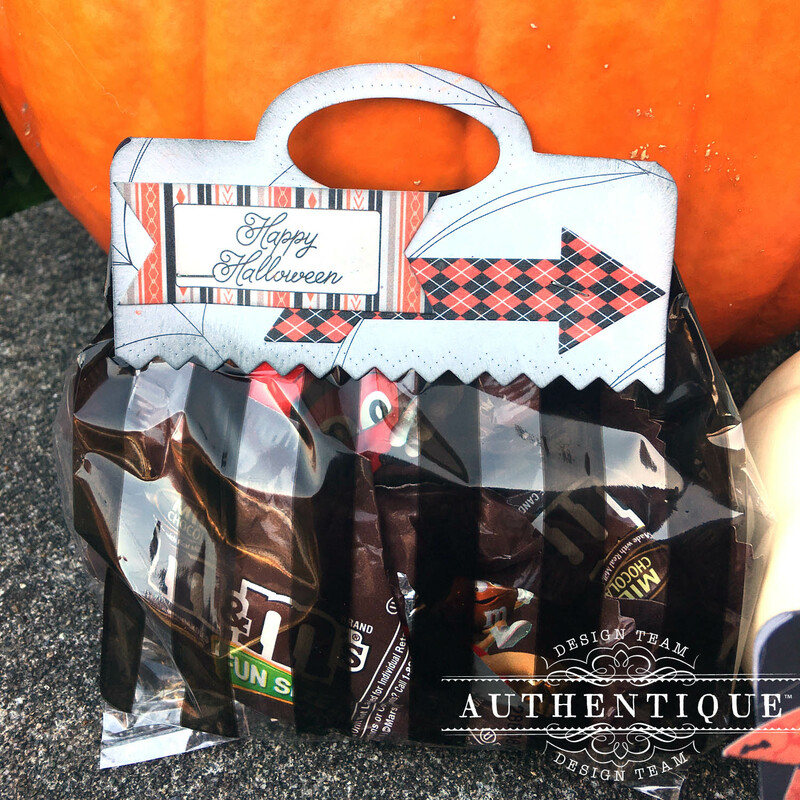 For these, I cut a few pieces of Authentique Bewitched 12x12 papers with the Treat Topper Elle-Ments from Avery Elle. I then created the treat bags using some old plastic bags leftover from a birthday party Ziploc or other bags would work just perfectly for this as well. Before piecing the topper together, I inked both the Details sticker, and the paper with Distress Oxide Ink (Black Soot). 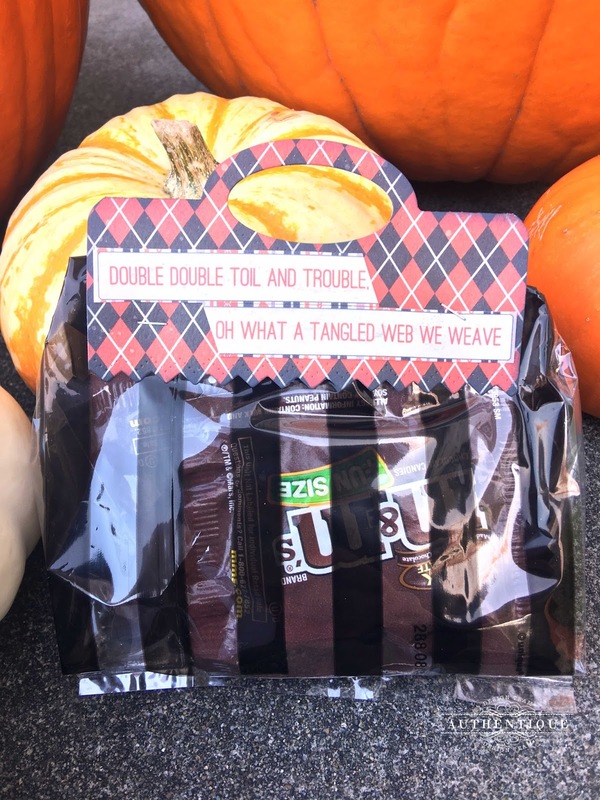 Then the topper was stapled to the treat bag. I used some old plastic bags leftover from a birthday party, but Ziploc or other bags would work just perfectly for this as well! 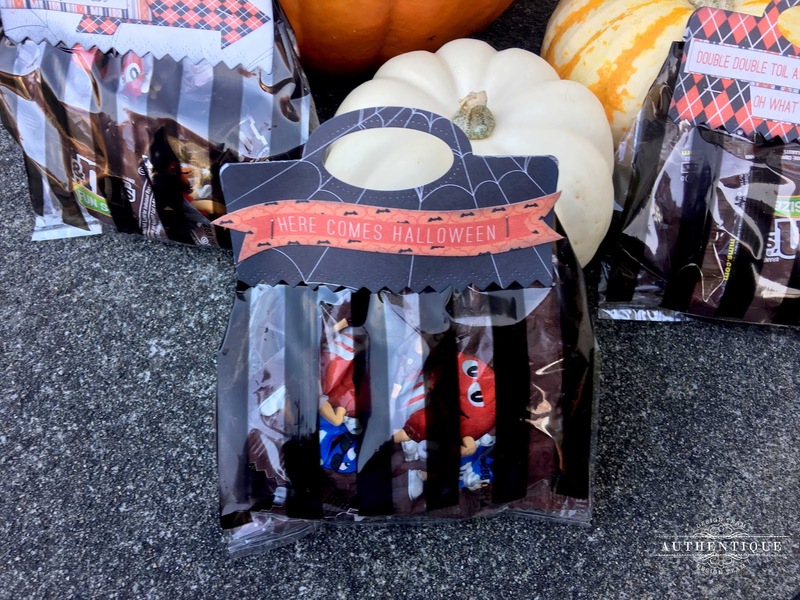 Each of the treat bags has a different color palette and look to it. You can swap the look, by just changing up the stickers. 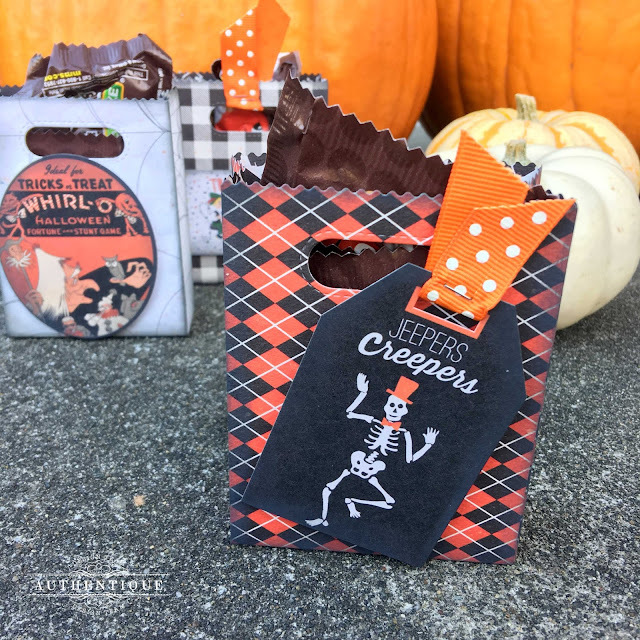 Once those were finished, I used the Goodie Bag by Lawn Fawn to create a trio of Bewitched treat bags. Since there are only two pieces, and they are glued together, these are completely self-contained. Adding a little ink to the edges, and popping up a Details sticker with dimensional adhesive added just enough details to each of these to make each super interesting. 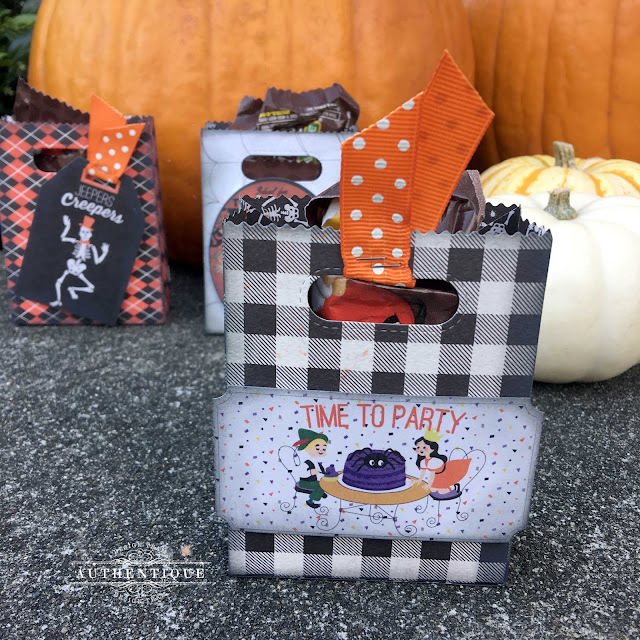 I loved adding a little bit of ribbon (attached with a mini stapler), or swapping out the stickers to make each one stand out. Last, but certainly not least, I created an extremely simple card using the scraps of the rest of the projects. Both pieces were bits of leftover pieces and strips that were headed for the recycle bin before they were saved for this lovely card. 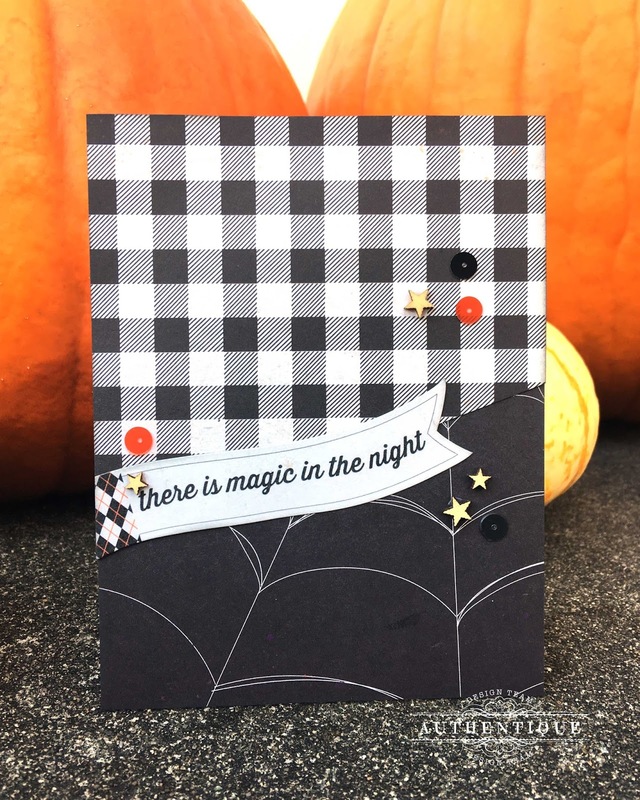 The cobweb on Bewitched Four was a great foil for the fun gingham of Bewitched Six. A simple angle cut made the card more interesting, and a few wooden stars, sequins, and a Details sticker finished it off. I hope this inspires you to spend a few minutes creating something fantastic for your trick-or-treaters (or anyone you want!) before tomorrow is over. 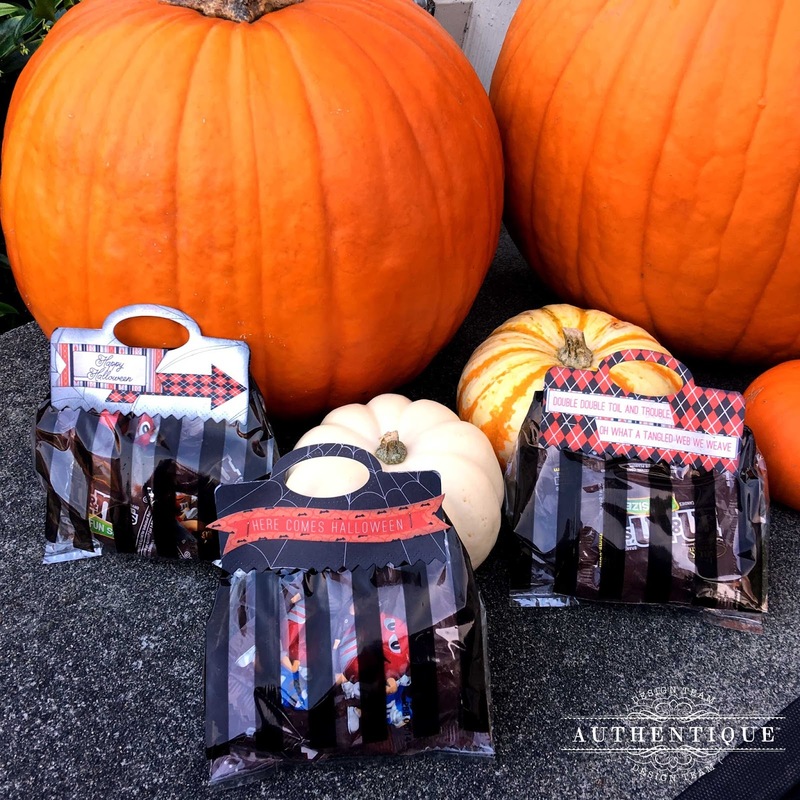 Happy Halloween from all of us at Authentique!